You can make these pads; even wash and reuse them to save you money on buying the disposable ones. This is a guide about making replacement pads for a Swiffer. I recently made a Swiffer Cozy for my Swiffer to replace the dry Swiffer cloths I buy. I think it qualifies as the ugliest Swiffer Cozy ever, but it used up leftover yarn I had and, it is very functional. I just measured the size of the bottom of the swiffer, and crocheted enough to cover that space, then added the top sides to go over the edges; making one side smaller than the other, so as to be able to slip it on easily. While it is ugly, it works great! Best of all, when I am done, I shake off the dirt, toss it into the wash, and I do not have to keep buying the swiffer cloths and tossing them into the trash. I use old T-shirts and sweatshirts to make replacement pads for my Swiffer Sweeper. I just cut rectangles large enough to fit around the Sweeper. Make sure you have enough left to poke into the holes that hold it in place. I use the rest of the shirts, sleeves and all, as dust rags. They can be washed or discarded. Using a wet Swiffer mop can get expensive with the wet replacement towels that cost about $4.00 for a dozen. It adds up really fast! To combat that, I decided to try using some old thin bath towels cut to size. I dampen them them with a cleaning solution of about 2 Tbsp. Murphy's oil soap to 2 quarts water, place them on the mop as I would the Swiffer cloths, and clean my laminate and tile floors. I bought a basic 'swiffer', not the battery operated kind. Instead of buying the wet sheets, I use thin wash cloths. I wet them with detergent water, and squeeze it out and they fit on perfectly into the little holes. It is fast and it cleans really well! I love Swiffer type cloths. I found when I ran out one time that you can use cut up rags (esp. flannel) the same size as one of the duster sheets and attach to the mop the same way. Voila! I would like to know how to knit or crochet a reusable swiffer pad. Just make one in the approximate shape of the pad. I often use old washcloths, microfiber cloths or even old tee shirts cut into the right size/shape. If the tee shirts seem too thin, use a double thickness. I throw my homemade cloths into the washer and reuse them. I crochet mine from cotton using a single crochet (US); simply chain enough loops to fit your pad and single crochet until you have a piece long enough and wide enough to use. Gauge doesn't matter, all you're looking for here is something that will fit your mop and have enough scrubbing power (hence the use of the dense SC) to get your floors clean. I use the white and cream colours so that I can bleach the pads. I have tried everything from old socks to used dryer sheets, but for the past year I have been using a Microfiber cloth. I buy mine at Sam's club, and cut them in half. One half is just right for the Swiffer and to tuck it in the slots. They don't fray, so you don't have to set the cut edges. Each cloth makes 2 swiffer pads. When I finish sweeping with them, I use one of those scratcher pads that is like a covered sponge, and brush the lint, dog hair, etc off the pad. When they get a little grimy looking, I just throw them in the washing machine with the throw rugs. My Swifter wet mop has no Velcro to stick the pads on. They must have fallen off from too much solution. Any ideas of how I can replace them? Should I just use regular stick on Velcro from JoAnn's? You can, they also sell that type of velcro at Walmart. I sure would try that before buying a whole new mop. I put on new velcro strips. Nope, does not stick well to swiffer purple mop pads. I will have to cut the velcro opposite and apply it to pad for it to work. Perhaps there is another type of velcro that works. Maybe a finer material? I think Swiffer cloths are too expensive. I live in an old house and have hardwood floors throughout in addition to two dogs. I am leery of some suggestions for cleaning fluid, washcloths, and the dogs on the wood floors. Occasionally I stumble on dry floor cloths at a dollar store, but not often. Any other ideas are greatly appreciated. Reusable "Swiffer" pads are very simple, purchase large microfiber cloths and use them on a Swiffer or Swiffer type mop. I have used these to clean my hardwood floors, and I have two cats that shed all the time. 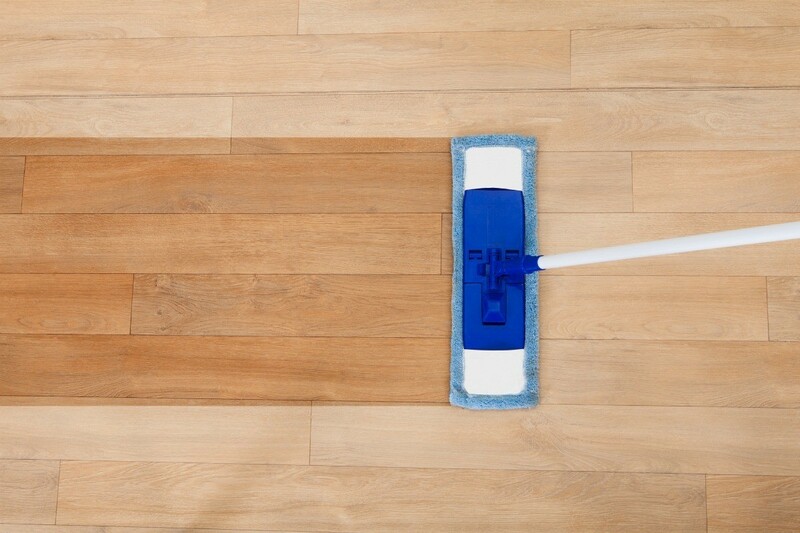 If I want to mop the floor, I simply spray my favorite wood floor cleaner (I use Bona) and then wipe over with the cloth. The only issue is that you have some very grimy laundry to do to reuse the cloths. How do I fasten homemade Swiffer wetjet pads to the mop head? This is a guide about knitting a Swiffer pad. You can knit or crochet a reusable cleaning pad for your stiffer style mop. This is a guide about homemade Swiffer wet mop replacement cloths. The replacement cloths for your Swiffer wet mop can be costly to constantly replace. One solution may be to make your own. Save money on buying Swiffer dry mop replacement cloths by using Huggies baby wipes! Use the wipes to clean something light, like a dusty surface, then wash with your clothes. Once the oils have been removed, they are ready for your dry mop. You can get about eight uses out of the baby wipes (which you've already used!) than you would spending the same amount of money on their replacement cloths, and the fit is the same. Here are some ideas for making your own Swiffer pads and refilling the cleaning bottles. Feel free to post your ideas in the forum below. "How to make you own Swiffer Cover"
Believe it or not, those Swifter dusters that come in the box, and you attach to the handle, can be washed and used over and over again, instead of throwing away every time they become dirty. I've been hanging them on the line, I haven't tried the dryer yet, but they still work fine. Make your own dry floor swiffer cloths. Spray your husband old hankies with Endust (you can purchase at Thrifty's), let dry and use with your dry floor swiffer. Rinse used "hankie" under warm water to clean, or save them up and wash with other cleaning clothes. This works well with old socks for cleaning ceiling fans or regular dusting. TOP COMES RIGHT OFF with pliers, thank you so much for the advice. Let's hear more about cleaning solutions that work. I use vinegar for the babies sake. I'm a new stay at home dad/ebayer always looking for ways to save. What a wonderful idea! re-using the swiffer pads! I have refused to buy those things because I knew the refills would be expensive, the way computer printer ink (1 yr's supply) is more expensive than the printer itself! Now I will try getting one...hopefully I can find the older model with the screw type caps. I will share my secrets with you. Keep reading. Glad to hear that I am not the only one with a fettish about greedy corporations. I simply hate all that "disposable" waste and litter and clog our planet while usurping our precious resources!! -Baking soda in warm water to remove soot from glass (as in fireplace enclosures). -Vinegar as antiseptic around the kitchen counter/sink/toilet/tub. -Laundry powder on cloth to wash bathtub/ sink/ faucet. It won't harm your tub/sink and leaves it sparkling. -Porcelain kitchen sink doesn't need CLR, nor that abrasive Magic Eraser filled with cancer causing formaldehyde, just damp sponge with warm water and bleach..let stand for a couple of minutes, then rinse off. -Remove sticky gummy adhesive tape residue with another piece of adhesive tape...repeatedly press sticky side of the tape to the stubborn residue and the residue will eventually stick to your tape! Discard the tape! No need to rub with oils the wash off with soap! -Removing old wallpaper simply lightly score surface of wallpaper so warm solution of water can penetrate. Apply with a wet mop! Wait for about 5 minutes for paste to loosen then peel off paper. If your wallpaper splits and just the vinyl scrubbable part peels off repeat the mopping to the backing that is left on the wall and peel that off..no need for harsh chemicals or steamers. -Hate those textured surfaces like refrigerator doors, vinyl flooring and counter tops? where the dirt gets into the tiny grooves? Allow to soak for a couple of minutes. Scrub it out with detergent and a fine brush. I often use an old toothbrush for smaller surfaces and a brush on a handle for the larger areas..
-Want to remove those oil stains off your concrete garage floor? Sprinkle with cat litter push it around on the grease and discard. -Have a garage in the colder parts of the country where you get snow and slush in your garage in winter? Get a shovel full of fresh snow and toss it on the grungy floor. Push it around the floor with your shovel till that snow gets dirty. Use a good shovel scrap off that snow and discard on the street where the sand in it will give more traction. If you use a good shovel with a metal edge it will scrap off all the snow and the floor will be left clean AND dry! -Trying to save money by doing laundry in cold water? Dissolve 1/4 cup of washing soda in a glass container in HOT water. Add that to the wash water before adding your detergent. Continue filling the washer with cold water. Wash in regular way. Rinse twice...the dinginess in our clothes is the dirty rinse water still left in the fabric. So double rinse to get that dirty water out of there and use the heavy duty spin! -Steam cleaning your own carpets? Try double rinsing with warm water immediately after you've cleaned the carpets. You'll be surprised at how much dirt still comes out. Even on the second rinse! Carpets will look brand new! Secret is to extract as much water as possible after the last rinse for that really clean look! Stains will have to be treated separately. To take the cap off the Swiffer bottle for refilling it, all you have to do is submerge it in boiling water for 20 to 30 seconds, twist, and off it comes. You can clip the little "wings" off the cap so that it twists off easily every time, or just leave them on so that the cap stays on tight. I am in grade ten and we have to do a culminating and we chose to do an invention using swiffers, I want you to take a minute and think about this (SWIFFER SOCKS). This is an inventions to take the original swiffer to the next level With its snug fit under your feet, it will allow you to go in hard to reach places without straining your back. 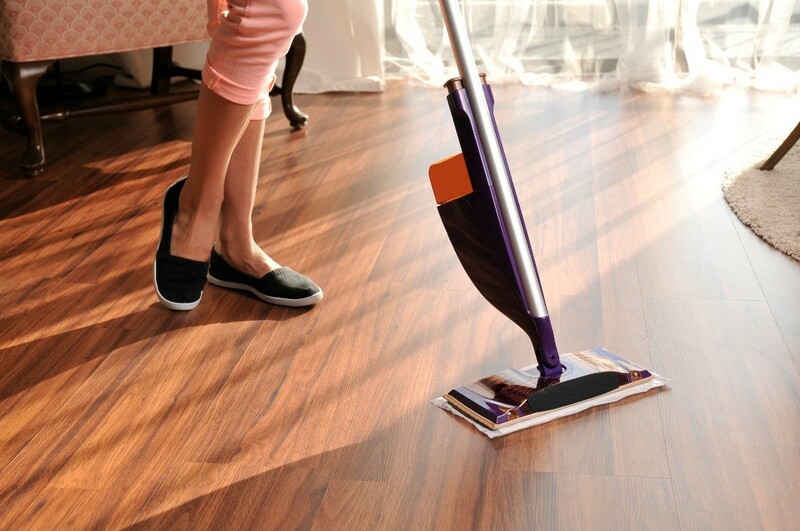 Just imagine an elderly lady is cleaning her floor and she can't bend down, instead of risking hurting her back, she just throws on the those socks and she's done in no time, with the curvature of your feet it enables you to reach the places that the original swiffer could never get at. Some of the many benefits to the swiffer socks is it is fast to clean up and easy to take off the swiffer pads when you're done. Also there are two different types of pad to clean up. One is for cleaning dust and one is for cleaning wet spills. The last benefit is it comes with certain techniques to make your cleaning a lot easier. Best Way to refill, no leaks, no drilling. Veronica Sparks, Hey all you Moms that Love the Swiffer WetJet but hate to buy the Solution Bottles! Check this out. I just did it on the old and new bottles and It worked! Wow! I found the following video of how to remove the top of the Swiffer bottles. Basically the guy boils the top of the bottle for 10-seconds and it softens the plastic enough to pop off without damaging it. Then you can refill at will.